Mushroom (rice straw/banana mushroom) is a delicacy and is accepted as a vegetable It is rich in protein, vitamins, and minerals It is mixed in various food preparations. This can be sold both in the local and export markets. Select sites that are shaded and free from direct sunlight. Construct a bed or plot with a dimension of 30 cm x 300 cm. The bed must be supported by pegs placed on its four corners. Gather the basal portion of rice straws or dry leaves from standing banana trees and bundle them. Cut the bedding materials 45-60 cm long for each bundle. Soak bedding materials 3-10 hours in a big basin or a clean empty gasoline tank. Set the bedding materials. Press and compact the layer evenly. Wet the bed layer with urea or ammonium sulfate at the rate of 1-2 tablespoons per gallon of water. Add sugar to the solution at the rate of 33 g. per gallon of water to improve yield. Stop watering when the solution drips off the bed. Tip: The materials needed are chiefly agricultural leftovers. Most of these materials are readily found in the fields or in the neighborhood. Insert thumb-size spawns 5 cm deep, 10 cm apart on both ends and along the sides of the bed. Cover with a thin layer of kakawate or ipil-ipil leaves. Variation: Other materials that can be used as bedding include dry water lilies, jute sacks, legume straws, cornstalks, sugar cane bagasse, and abaca leaves. Set second layer by following the same procedure prescribed in preparing the first layer. Repeat procedure until six layers have been laid. Cover the bed entirely with plastic sheet or clean empty cement bags for 5 to 7 days, then remove. Assumption: 15 bags of mushroom spawns may be planted in 5 beds. Maximum of 10 kilograms may be harvested per bed in one month. Regularly inspect the beds. Place pan filled with water at the base of each peg to prevent ants or other insects from climbing and attacking the mushrooms. Harvest at button or umbrella stage or on the 13th day after planting. Beds will give three-days-a-week yield for one and a half to two months. 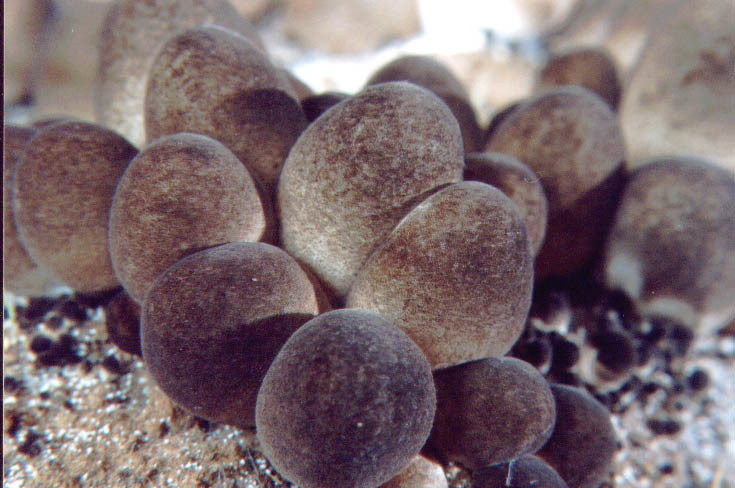 Mushrooms in the button stage of growth are more succulent, hence they are preferred than the fully opened ones. Package mushroom in plastic bags on per kilogram basis. Perforate the plastic bags allowing air inside to maintain the freshness of the mushroom ready for market. Air-dry mushrooms that are not sold immediately. Dried mushrooms can be sold and command higher price. Tips: Do not use mushroom bedding more than once. Used bedding can be used later as compost for making organic fertilizers. Do not plant in the middle of the bed because mushrooms do not grow there. how to make spawn of straw mushroom? If FIND THE RIGHT BUSINESS you want to inspire people but feel shy about the prospect of going it alone, then opt for those personal development entrepreneur businesses already operating. Therefore, for years, business owners were able to quickly and easily get business capital if they were willing to pay the bank's or lender's fees. The proper processing and storage of such mushrooms is the best way to preserve their freshness and taste. This is important in any case. I have a sharp idea: for the moment slight defaults, and spotlight on making business credits open to new organizations or existing organizations expecting to expand. Academic papers. THE BEST HIP HOP i never know the use of adobe shadow until i saw this post. thank you for this! this is very helpful. blockchain I like viewing web sites which comprehend the price of delivering the excellent useful resource free of charge. I truly adored reading your posting. Thank you! eseostore I like viewing web sites which comprehend the price of delivering the excellent useful resource free of charge. I truly adored reading your posting. Thank you! vigrx plus I was just browsing through the internet looking for some information and came across your blog. I am impressed by the information that you have on this blog. It shows how well you understand this subject. Bookmarked this page, will come back for more. เล่น sbobet ฟรี I like viewing web sites which comprehend the price of delivering the excellent useful resource free of charge. I truly adored reading your posting. Thank you! $300 Bing Ads I have bookmarked your website because this site contains valuable information in it. I am really happy with articles quality and presentation. Thanks a lot for keeping great stuff. I am very much thankful for this site. Hood Cleaning Oklahoma City Thank you for taking the time to publish this information very useful! amazon gift card code Excellent effort to make this blog more wonderful and attractive. Handrails for balconies Thanks for posting this info. I just want to let you know that I just check out your site and I find it very interesting and informative. I can't wait to read lots of your posts. roofing contractors The next time I read a blog, I hope that it doesnt disappoint me as much as this one. I mean, I know it was my choice to read, but I actually thought you have something interesting to say. All I hear is a bunch of whining about something that you could fix if you werent too busy looking for attention. Boufféré Mouzeil I like viewing web sites which comprehend the price of delivering the excellent useful resource free of charge. I truly adored reading your posting. Thank you! good food coating agents Just saying thanks will not just be sufficient, for the fantasti c lucidity in your writing. I will instantly grab your rss feed to stay informed of any updates. wholesale cbd isolate 100 grams this is really nice to read..informative post is very good to read..thanks a lot! pipe fitting Gangaur Realtech is a professionally managed organisation specializing in real estate services where integrated services are provided by professionals to its clients seeking increased value by owning, occupying or investing in real estate. visas Gangaur Realtech is a professionally managed organisation specializing in real estate services where integrated services are provided by professionals to its clients seeking increased value by owning, occupying or investing in real estate. Hair Loss I finally found great post here.I will get back here. I just added your blog to my bookmark sites. thanks.Quality posts is the crucial to invite the visitors to visit the web page, that's what this web page is providing. inmobiliaria de lujo madrid I want to say thanks to you. I have bookmark your site for future updates. Cryptocurrency Actually I read it yesterday but I had some thoughts about it and today I wanted to read it again because it is very well written. Hockey Nice to be visiting your blog once more, it has been months for me. Well this article that ive been waited for therefore long. i want this article to finish my assignment within the faculty, and it has same topic together with your article. Thanks, nice share. Sobha villa gurgaon Wow, cool post. I’d like to write like this too – taking time and real hard work to make a great article… but I put things off too much and never seem to get started. Thanks though. Houston Security Guard It has fully emerged to crown Singapore's southern shores and undoubtedly placed her on the global map of residential landmarks. I still scored the more points than I ever have in a season for GS. I think you would be hard pressed to find somebody with the same consistency I have had over the years so I am happy with that. dog leash I really appreciate the kind of topics you post here. Thanks for sharing us a great information that is actually helpful. Good day! guitar tutor London Really nice and interesting post. I was looking for this kind of information and enjoyed reading this one. Keep posting. Thanks for sharing.